I was fortunate to receive two enthralling books from the lovely people at Little Pink Dog Books – two books that encourage a little imagination and a lot of exploration for busy toddlers and young children. Add some wild animals in the mix and you’ve got fun-tastic literary experiences to share. 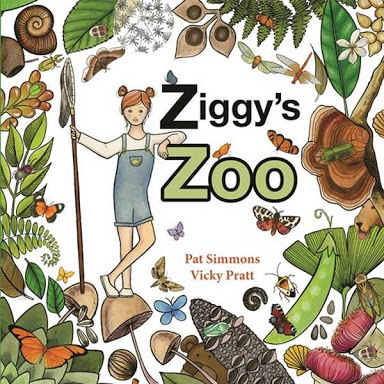 Ziggy’s Zoo is an exciting rhythmic investigation rendered by the talents of author Pat Simmons and illustrator Vicky Pratt. 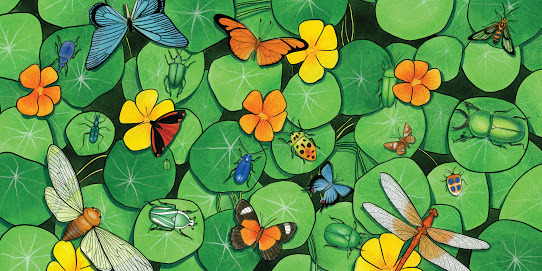 On the hunt for ten crittery exhibits, Ziggy’s garden is the perfect setting for the intricacy of Pratt’s fine line and pencil detail as seen in her beautiful butterflies, beetles and other creepy crawlies. Simmons’ verse is playful and animated, easily read aloud for an engaging shared reading experience. The audience are cajoled along as the young girl in the story begins her zoo collection, starting at Exhibit One with a caterpillar munching leaves. Ziggy carefully places it inside a jar, ready to discover the next amazing gastropod, annelid and arthropod – with a few more surprising species thrown in the mix! Ziggy’s Zoo is not only a fun book to explore, but also presents many great learning opportunities for its preschool-aged audience. From counting and number recognition, to tiny details to spot and different creatures to research. This book will encourage the most intrepid garden entomologists and bug collectors, so be prepared to get a little dirty after reading this one! 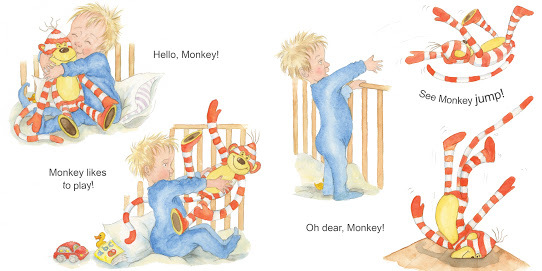 Another gorgeous title from Little Pink Dog Books is See Monkey with its irrepressible antics and fun-loving nature. 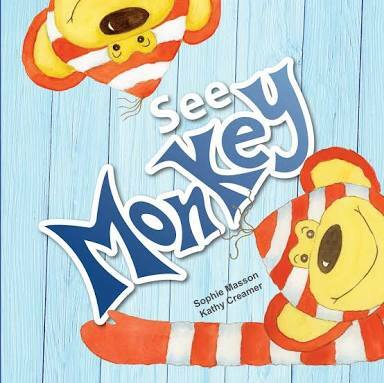 Sophie Masson brilliantly targets the toddler market with her short, sharp sentences and witty ‘monkey tricks’ – absolutely reflective of the typical cheeky toddler / monkey behaviours. Kathy Creamer befittingly brings her characters to life with superb colour, high action and the liveliest of expressions. We watch, in fits of giggles, as the little boy ‘plays’ with his monkey toy, catapulting it into once-calm scenes only to create chaotic disaster after chaotic disaster. Monkey dives into dad’s breakfast, kicks a ball onto the neighbour’s head, dances through garden pots, quietly paints all over the house and messes up the home office. Eventually boy and Monkey must close their eyes. What a day! Little Pink Dog Books, 2018.